Posted in: St. Louis Cardinals. Tagged: Earned run average, FanGraphs, Fastball, Justin Verlander, Kyle Lohse, Major League Baseball, Pitcher, Stephen Strasburg. Perhaps adding to the hot, swinky, (sweaty and stinky?? No…? 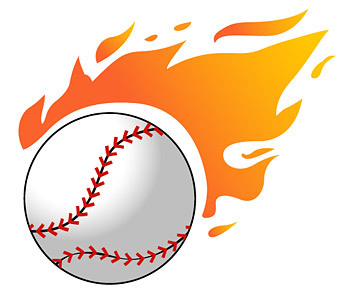 I tried…) dog days of summer it seems like every pitcher to step up to the rubber is a “flameballer”. How many guys do you see coming out of the bullpen who doesn’t throw 95 mph? That used to be an asset, now it’s a necessity in today’s MLB. But I don’t want to talk about relievers right now. It looks like it’s in danger of slipping below 91 MPH for the 1st time in a long time. 0.4 MPH may not seem like much but this is LEAGUE wide. That’s a lot of fastballs. I only see this number going down as the year goes on and pitchers get hurt and they are replaced by minor league journeymen. But it seems to me like it’s happening more often this year than most. Even Justin Verlander is down to 93 MPH from 94 in 2012. It’s interesting to think about as the MLB becomes increasingly passive with its power arms. I have a feeling that as the fastball becomes MORE effective then it greatly increases the effectiveness of its counterpart, the changeup. There are young arms everywhere, and teams are protecting them. Steven Strasburg scares me every time he throws the ball. No matter what the Nationals do, his velocity will regress. We’ve seen this before. Question is, does that greatly impede on one’s performance? How fast can one adjust? As pitchers throw harder, it will only become more dangerous for them.